Dorcas Naana Owusu Afriyie (aka Naana Joa Braso) is a content writer, brand developer, blogger and social media enthusiast with a background in Secretaryship/ Management and Communication Studies (Public Relations). Naana is passionate about creative arts & design, promoting people/ startups & local businesses, good food, fashion and travel. She is an advocate for women empowerment, children protection, humanity and change. She believes that we can make a difference in the world a person at a time by spreading smiles and love wherever we go. Naana has a soft spot for nonprofits and social enterprises. Her dream is to own several businesses, make an impact in the world and live in a different city each night. Shannon Werbeckes is a licensed speech-language pathologist currently working in a school near Madison, Wisconsin. She earned her Master of Science degree from Radford University in Virginia and her Bachelor of Science degree from the University of Wisconsin-Madison. Shannon has experience working in both pediatric outpatient and school based work settings but has a particular interest in children with autism and those who use augmentative and alternative communication (AAC). In addition, Shannon develops and sells speech, language, and social skill therapy activities for other pediatric speech-language pathologists. She loves travel and excited to combine her passions through traveling with Smiles for Speech! Danielle is a bilingual Speech-Language Pathologist at Texas Children’s Hospital. (TCH) She is also a Clinical Educator at the University of Houston in the Department of Communication Sciences and Disorders. Danielle earned her Bachelor of Arts degree in communication disorders from the University of Houston and her Master of Arts in communications disorders from Texas State University. Her primary areas of interest includes bilingual language development and voice disorders. At Texas Children’s Hospital, Danielle leads research on pediatric voice disorders and coordinates evaluations and treatment plans with an otolaryngologist to assess children with vocal fold paralysis and other voice disorders. Prior to joining TCH, she specialized in home health therapy where she provided parent education and speech therapy for the birth to three-year-old population. In her free time, she enjoys listening to podcasts, singing karaoke and is a lifelong member of Bee-Hive. De’Mettria Riser graduated from University of Houston with a Bachelor of Science and a Master of Arts in Communication Disorders. She is currently in her 5th year at Texas Children’s Hospital where she serves as the system’s subject-matter resource in Alternative Augmentative Communication (AAC). She is the primary speech-language pathologist on the Acute Outpatient Rehabilitation Program (AORP) interdisciplinary team and works closely with the hospital’s inpatient rehabilitation unit. As an SLP on the AORP team, she provides cognitive rehabilitation training as well as evaluation and intervention of neurogenic communication disorders and dysphagia for pediatric patients with new onset neurological changes. De’Mettria’s prior career experience includes providing speech and language services for a private school for children with Autism and other developmental disabilities using her DIR/Floortime™ training. De’Mettria’s passion for helping others has led her towards outreach through serving as a mentor to peers, presentations and posters at various conferences and promotion of the speech pathology discipline within the community through volunteerism with local churches. She earned membership on the 2018-19 ASHA Leadership Development Program – Health Care cohort. Lisa Kathman has 22 years of experience as a Speech-Language Pathologist. She graduated from Arizona State University with a Master of Science degree in Communication Disorders from Florida International University and a Bachelor of Arts degree in Psychology. Lisa is the co-founder of SLP Tool Kit and brIQht ideas, an ASHA approved continuing education provider. Lisa has extensive experience in presenting to groups on courses related to assessment and treatment in pediatric communication disorders in the school setting and speaks nationally on these topics. She served as an adjunct faculty member in the SLPA program at Estrella Mountain Community College in Arizona. As an SLP, Lisa has provided diagnostic and therapeutic services exclusively with pediatrics in home health, clinics and in schools. She was formerly the lead SLP in the largest school district in Arizona, and is passionate about mentoring other SLPs, graduate students and clinical fellows. She is a member of ASHA, ArSHA, ASHA Special Interest Group 16 (which focuses on school based issues) and holds two ASHA ACE awards for continuing education excellence. Sarah Bevier is a licensed and certified speech-language pathologist in the state of Arizona with over 13 years of experience in the field. She is a graduate of Arizona State University with a Bachelor of Science in Speech and Hearing and a Master of Science degree in Communication Disorders. Sarah is the co-founder SLP Toolkit, web based application that allows users to collect comprehensive data and progress monitor. She also co-founded briQht ideas, which offers professional development opportunities to special education providers. As a full time SLP, Sarah worked in the school setting, providing services to a wide range of students of all ages with a variety of needs. She was active in her district’s speech- pathology advisory council, mentored graduate students and CF-SLPs in the field of speech- pathology, and regularly presented to teachers and speech pathologists on topics pertaining to behavior, communication, and vocabulary acquisition. Sarah regularly presents nationally at universities, workshops and conventions on topics related to being a school based SLP. She is a member of ASHA, ArSHA, and ASHA SIG (Special Interest Group) 16, which focuses on school based issues. Sarah is passionate about supporting SLPs to feel confident, find more joy in their jobs and improving student outcomes. Emily Erickson is a certified Speech-Language Pathologist and licensed in the states of Idaho and Wyoming. She received a Bachelor of Arts in English Literature from Montana State University in 2007 and a Master of Science in Speech-Language Pathology from Idaho State University in 2016. Since graduating, Emily has provided diagnostic and therapeutic services in a wide range of settings including private practice, public schools, home health, and tele practice. Her experience in providing therapy in rural and underserved areas has allowed her insight into the need for outreach and resources in disadvantaged communities. Emily enjoys working with children of all ages and is passionate about improving lives through the power of communication. She is thrilled for the opportunity to combine her love of travel and desire to empower children through Smiles for Speech. Darlene Quartey- Warner has been a licensed Speech-Language Pathologist for over 20 years. She attended the University of Texas at Dallas where she earned a Bachelor of Science in Speech- Language Pathology and Audiology and a Master of Science in Communication Disorders. Before opening A Speech Connection Clinic in 2010 with her partners, Darlene worked in various settings including school district, hospital and home health settings. Darlene served as lead Speech- Language Pathologist in her previous district for 5 years; she started and ran the district's preschool speech and language program - L.E.A. P. - Language Enrichment and Articulation Program. She also served on the Assistive Technology Team and Autism Team. She has formal training and certifications including the following: American Speech Language and Hearing Association (ASHA), Vital Stim Therapy, Beckman Oral -Motor Therapy, Picture Exchange Communication System (PECS), Kaufman Apraxia System, S.O. S. Feeding Therapy, Talk Tools Oral Placement Therapy, Hanen Program It Takes Two to Talk, Every Move Counts and Passy Muir Valve training. April Atchison is a certified Speech-Language Pathologist by American Speech and Language Hearing Association (ASHA). She received a Bachelor of Science in Speech-Language Pathology, Masters of Science in Speech- Language Pathology, and Specialist in Special Education all from the University of West Georgia. She is licensed in the state of California and Georgia. April is the owner of Talk Time Speech and Language Services, LLC (TTSLC) in Atlanta, GA which provides diagnostic and therapeutic intervention within the schools and home environment. TTSLC also offers trainings to support parents, early childhood educators, and other professionals working with children speech and language disorders. April believes in providing quality services with care and is excited her continue her passion and dedication for helping children globally. Julia Andersson is a Swedish certified Speech-Language Pathologist. She holds a Master of Science and Master of Medical Science in Speech and Language Pathology from Umeå University. Julia has further advanced education in Signing as Alternative and Augmentative communication (AAC) from Uppsala University and Special Education II/II in Neuropsychiatric Disabilities, ADHD Autism and Other Disabilities from at Stockholm University. She was also trained in Responsive Communication-It Takes Two To Talk at The Hanen Centre. Julia is currently working in a school setting supporting children with language disorders and autism spectrum disorders. She has previously worked in a medical setting providing evaluations and treatment of language disorders for bilingual children. 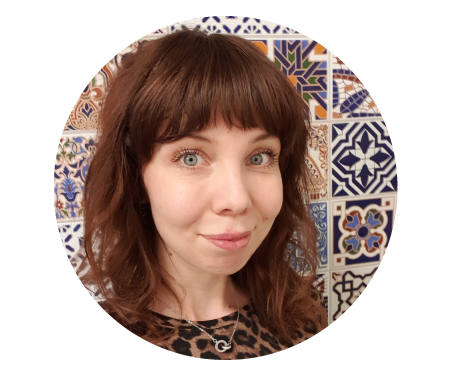 Julia serves as a teacher and course coordinator on reading and writing disorders in the Speech and Language graduate program at Umeå University. Since last year, Julia also runs her own company, Logopedia with the main focus on lectures and courses on speech and language disorders for teachers and other school staff. Kawyanda Prather is a certified and state licensed Speech- Language Pathologist. She was born and raised in Milwaukee, Wisconsin. Lawanda Prather graduated from Xavier University of Louisiana with a Bachelor of Arts degree in Communication Sciences & Disorders. She earned her Master of Arts in Speech-Language Pathology University of Northern Iowa. Kawyanda began her career as a travelling SLP in Southern California and travelled between various cities for seven years. She has had the opportunity to gain experience as a speech-language pathologist with a variety of populations and settings including schools, nursing homes, hospitals, daycares, and private homes. Currently, Kawyanda resides in Houston, TX. She enjoys working with individuals of all ages and their families to provide diagnostic and therapeutic treatment in the school and home health setting. Kawyanda is excited to fulfill her dream of incorporating both her passions as an SLP and world traveler. Mesha Griffin is a Special Education Teacher at Alexandria City Schools and a Faculty Advisor at Montgomery College in the DC Metro area. She earned her Ed.D. in Special Education from Northcentral University in 2016. Her research focused on the Urban African American Parents’ Lived Experiences of the Individualized Education Plan Process. Dr. Griffin has taught for over 17 years as special educator, including training teachers in Ethiopia, Egypt and Indonesia. In 2001, Dr. Griffin was nominated for Humanitarian of the Year as her role as school counselor in Virginia. She is a certified Middle School Teacher and K-12 guidance counselor. Dr. Griffin has traveled to over 48 countries and has used her experience in education as a platform to mentor girls and to train educators in marginalized communities. Dr. Griffin is the founder of Skills for Teachers, which focuses on specialized instructional practices and resources on how to differentiate instruction for students with specific learning differences. Dionne Walker, MA, CCC-SLP is a Certified Speech-Language Pathologist with 25 years of experience. She graduated from the University of Texas at Austin where she received both a Master of Arts in Speech-Language Pathology and Bachelor of Science in Communications Disorders. Dionne is licensed in Texas, Oregon, and California. 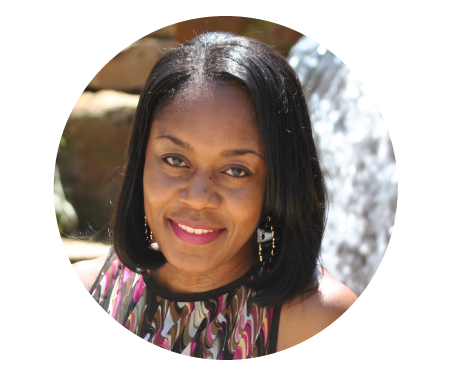 She is the owner of a private practice located in Houston, Texas Dione provides supervision for graduate students as a part-time Clinical Educator at the University of Houston Speech, Language and Hearing Clinic (USLHC) in their community outreach settings. Dionne has expertise in the areas of Oral Motor/Dysphagia and Feeding Issues, Autism, and Pediatric Speech and Language Disorders. She has worked in a variety of settings including schools, online/tele therapy, medical settings, and home health. Dionne has also conducted numerous trainings and workshops with students, parents and other related professionals. Angela Okine currently lives in Ghana and is a recent graduate from the University of Ghana. She graduated with a Bachelor of Science in Psychology. Angela has hands on experience working in the schools in Ghana. She finds great pride in helping children and preparing creative activities for them. Angela’s love for children inspired her to begin teaching from home. She enjoys caring for children, collecting artwork, baking and poetry. Angela understands that we are all imperfect and excited to be a part of changing the stigma held by some towards children with special needs. Angela serves as the SFS Ghana team affiliate and interpreter in the Ghanaian languages Ga and Twi. She hopes for a better time where illnesses and disorders are no more. Ana Berrios is a Speech-Language Pathologist working in Home-Based Early Intervention. She was born and raised in Puerto Rico and received her Master of Science in Speech/ Language Pathology and a Bachelor of Arts in Spanish Education from the University of Puerto Rico. Prior to becoming a Speech Pathologist, Ana volunteered and taught a Spanish course in a non-governmental organization in Brasil, which helps children at risk. Her interest in working with culturally diverse children motivated her to move to New York City in 2014. Ana enjoys working with infants and toddlers to support and enhance children’s developmental skills and providing parent education to families and caregivers. In her spare time, she enjoys exercising, reading, traveling, and spending time with friends and family. Thanh Dinh is a Canadian-trained Occupational Therapist currently working with geriatric rehabilitation. He received his Master of Science in Occupational Therapy in Canada at the University of Western Ontario. Thanh relocated to New York City in 2015 to begin his professional career, where he gained experience working with children and adults with physical, mental, and intellectual disabilities. He has a strong desire to help others while traveling and immersing himself in new cultures around the world. 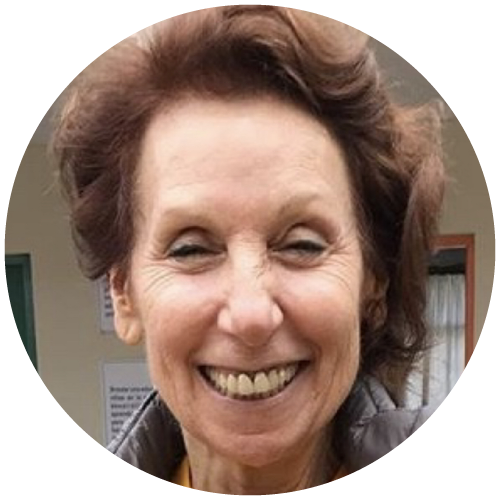 Laurie Botstein, is a Speech-Language Pathologist and native of Brooklyn, New York. Laurie has more than 25 years experience in diagnosing and providing speech-language therapy and has a pediatric private practice in Atlanta, GA. Laurie provides workshops in family training as well as provides therapy to persons with mild to high level impairments in the areas of oral, written and auditory communication and cognitive behavior. Laurie’s therapeutic experience includes language, articulation, oro-motor, auditory processing disorders, fluency, and improving reading and math skills. She has also served as a consultant to many private schools throughout Atlanta. Laurie, who has two adult children of her own that support her international efforts to help children around the world. Donalyn Allen is a licensed Speech-Language Pathologist from La Porte, Texas. After serving Texas school districts for three years, Donalyn decided to expand her horizons to become a traveling SLP. She provides speech and language services to individuals across the nation. Donalyn earned her Master of Science degree in Speech-Language Pathology at Stephen F. Austin State University in May 2015. Since that time, she has provided services to children and adults through assessment, diagnosis, and treatment of dysphagia and speech/language disorders. Donalyn has a passion for helping children around the world and has joined non-profit organizations in developing countries such as Zambia, Uganda, and with Smiles for Speech in Peru. Irene Gutierrez is a very dedicated bilingual, Speech-Language Pathologist and Myofunctional Therapist originally from Bogota, Colombia. Irene graduated in Speech -Language Pathology from Universidad Nacional de Colombia and second degree in Audiology from Corporación Universitaria Iberoamericana in Bogota, Colombia. She holds a Master in Speech- Language Pathology from Universitat de Vic in Barcelona, Spain. Irene provides Bilingual speech therapy and Spanish translation services with her company Brainstorm Consulting, LLC based in Falls Church, Virginia. She also consults and provides treatment in a clinic for children with Autism and an early intervention program serving families from all over Latin America. During her spare time, Irene loves to volunteer helping to support to children with special needs all around the world. Jendayi is a Clinical Fellow based in New York City. She is currently working with school-aged children at a community Charter School. Jendayi provides speech and language services for children in grades 6-11 targeting literacy, writing, and articulation goals. She received her Bachelor of Arts degree in Speech- Pathology and Spanish at the University of Virginia. During her undergraduate studies, Jendayi spent six weeks in Ghent, Belgium, and Nijmegen, The Netherlands conducting AAC research with a team of colleagues under the supervision of Drs. Filip Loncke, Paul Corthals, and Judith Stoep. In addition to her travels to Belgium and The Netherlands. She also completed a semester-long homestay in Valencia, Spain. Jendayi continued her education at Teachers College, Columbia University where she received a Master of Science degree in Behavioral Sciences: Communication Sciences and Disorders-Bilingual Extension in Spanish. Jendayi enjoys writing and has shared many blog posts detailing the team's experiences in Havana, Cuba.